The base color is two coats of "Haute Tub" by Essie (swatch). I know, again this base coat, but it fits so perfectly and it stays on forever! 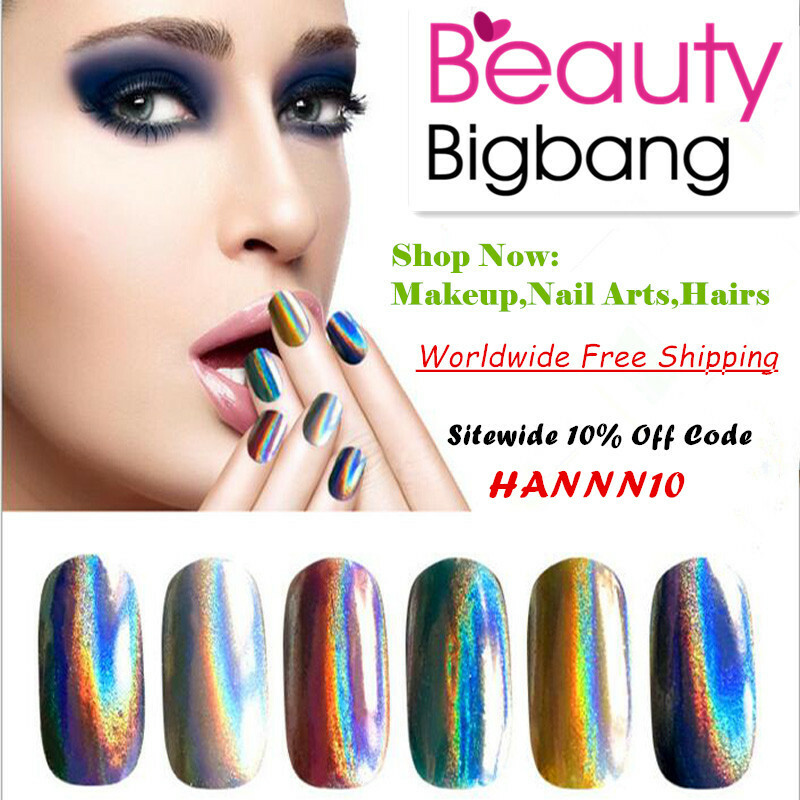 I knew I wouldn't have time to do my nails again anytime soon when I did these so I needed a base that could last a while. I had these on my nails for almost two weeks with only a little chipping at the edges! As for the Zodiac Signs from top to bottom I did: Pisces, Cancer, Leo (mine 😊 ), Taurus, and Libra. 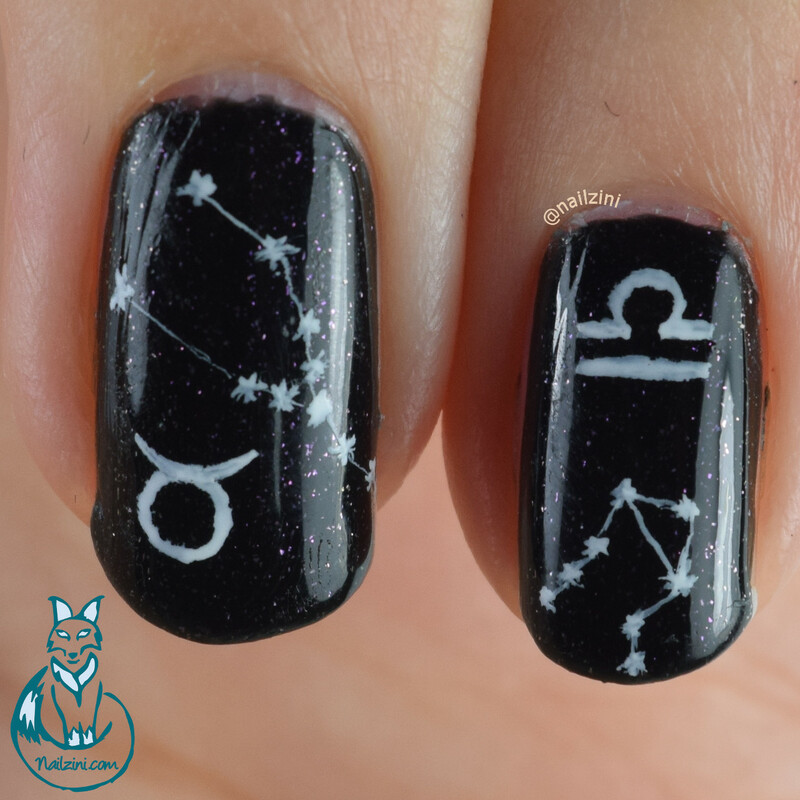 Here is a close-up of Taurus and Libra. 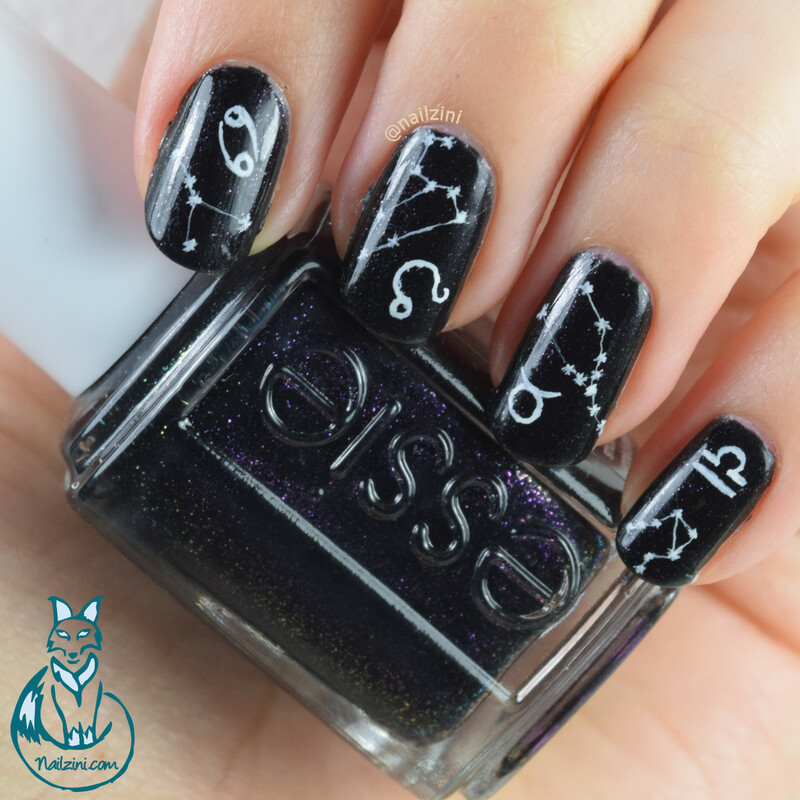 I absolutely love this design, it's quick and easy to create but still looks amazing! 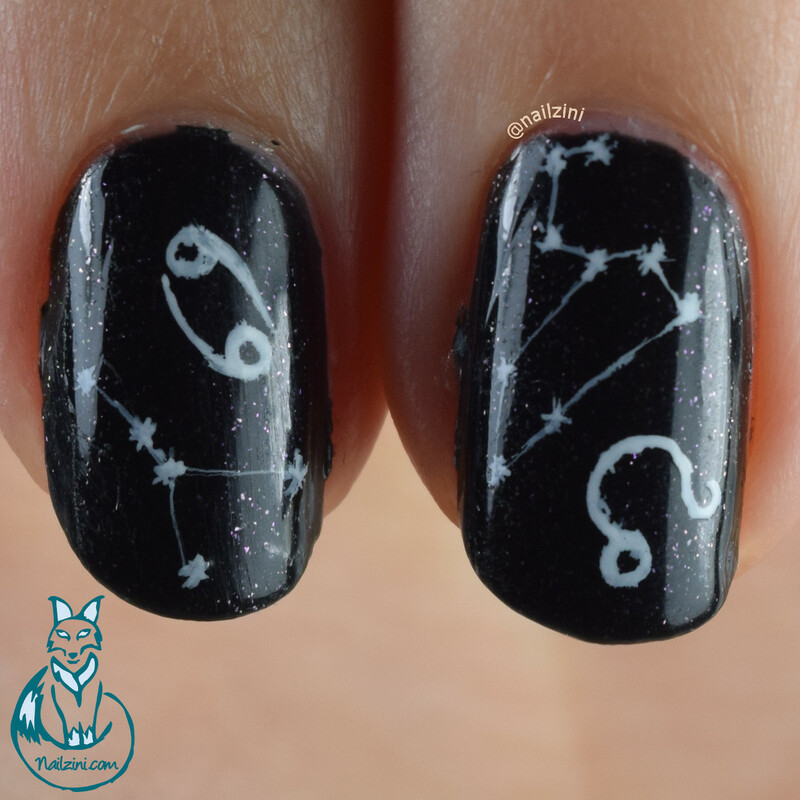 It took me only a minute or two per nail to paint the constellation and the symbol, which makes it the perfect design for when you're short on time. 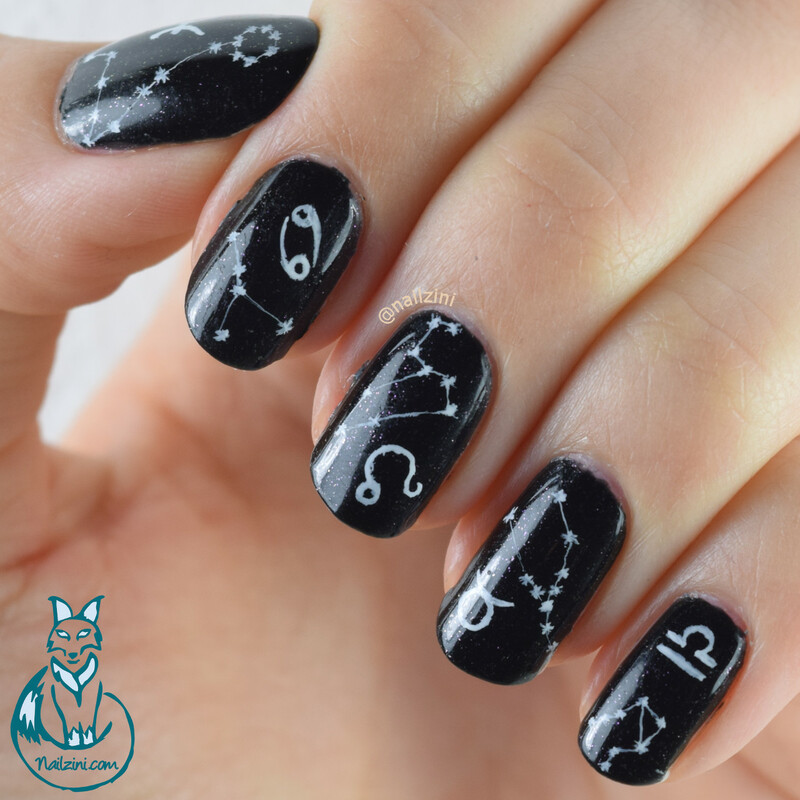 And a close-up of Cancer and Leo. The design is hand painted with white Jo Sonja's acrylic paint and the "Tartofraises roubloff detail 00" brush by Adnails Manucure.